She’d rather help solve the murders of young prostitutes who turn up all over town, but city officials insist on burying the stories during Splash Day festivities. After Jazz gets to know the bathing beauties, she realizes there’s a lot more to them than just pretty faces and figures. 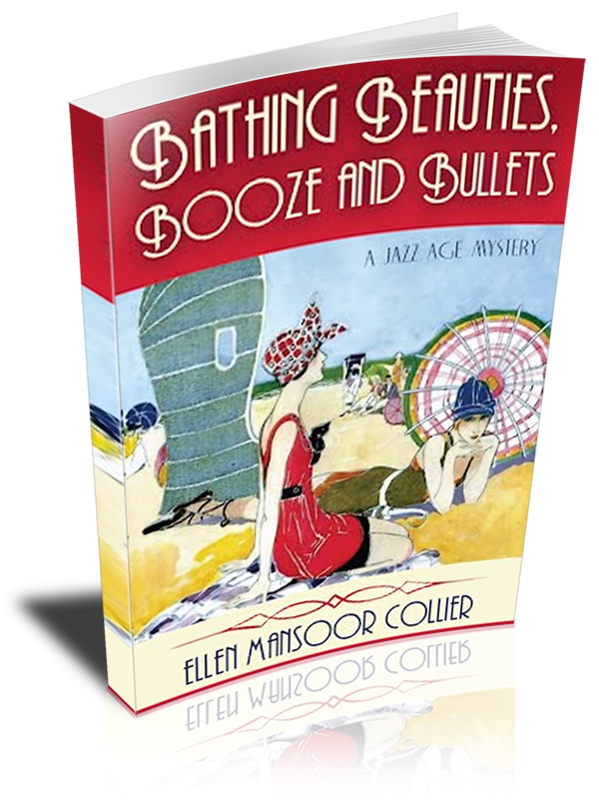 Jazz becomes suspicious when she finds out the contest is also sponsored by the Maceos, aspiring Beach Gang leaders and co-owners of the Hollywood Dinner Club, where the girls will perform before the parade and pageant. 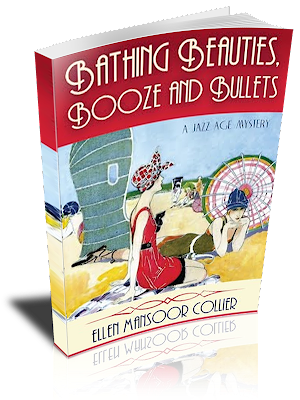 Worse, her half-brother Sammy Cook, owner of the Oasis, a speakeasy on a rival gang’s turf, asks her to call in a favor from handsome Prohibition Agent James Burton—an impossible request that could compromise both of their jobs and budding romance. While Agent Burton gives her the cold shoulder, she fends off advances from Colin Ferris, an attractive but dangerous gangster who threatens Sammy as well as Burton. In the end, she must risk it all to save her friends from a violent killer hell-bent on revenge. Inspired by actual events. Formerly she's worked as a magazine editor, and in advertising and public relations (plus endured a hectic semester as a substitute teacher). She graduated from the University of Texas at Austin with a degree in Magazine Journalism, where she enjoyed frou-frou cocktails and lots of lattes. "When you grow up in Houston, Galveston becomes like a second home. I had no idea this sleepy beach town had such a wild and colorful past until I began doing research, and became fascinated by the legends and stories of the 1920s. 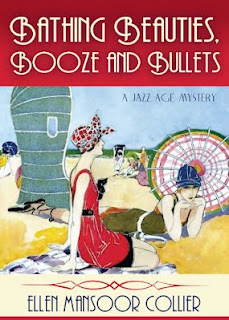 Finally I had to stop researching and start writing, trying to imagine a flapper's life in Galveston during Prohibition." The Oasis was more than half full, and in the dim lights, I spotted Sammy at a corner table, talking in earnest with a young, good-looking guy with chestnut hair. I held back, but Amanda charged forward, plopping down on the chair closest to Sammy. “Hey, Sammy, how are you?” She said it with a smile that only I knew was forced. “No, but thanks for the compliment. I’m Jasmine,” I told the handsome stranger, “but I go by Jazz. This is my friend Amanda.” I looked across the table, but Sammy and Amanda seemed to be quarreling—no doubt she was upset because she was feeling ignored. What else was new? “Jazz,” he repeated. “I like jazz. I’m Colin, by the way.” He stuck out a hand, and shook mine with a firm grip, lingering until I pulled my hand away. “Nice to meet you.” He looked familiar, but I couldn’t quite place him. “How about a whirl across the dance floor, Jazz?” He flashed a smile of teeth that seemed to light up the room. Very tempting, but I needed to talk to Sammy. “Maybe later.” He was attractive, but I hadn’t danced with anyone since my rendezvous with Burton at the Surf Club, and I wasn’t in the mood. “Well, how about a drink then, Jazz?” He leaned forward, his arm thrown over my chair. “Sure, why not? Make it a Manhattan.” Normally, I didn’t drink with strangers but he seemed to be a friend of Sammy’s and besides, I didn’t expect to hear from Burton anytime soon.... Colin returned with two drinks, and scooted his chair over so our knees touched under the table. The cocktail felt cool and refreshing and I began to relax. “So what do you do?” I asked him, wondering why he looked so familiar. “I’m in sales,” he said. No wonder he seemed so confident, so outgoing with strangers. “What do you sell?” I wanted to know. “Just checking.” Maybe it was the drink, but I felt comfortable around him and soon we were chatting, almost like friends. “How do you know Sammy?” I asked. “We have mutual friends,” he said. Another cryptic answer, but who cared? Naturally I was rusty but I loved to dance and for once, I didn’t worry about anything or anyone, least of all Agent Burton. Colin kept up with my Charleston and even did an improvisational Irish jig when the song ended. Then the tempo slowed down and Colin pulled me to him, his big arms almost crushing my chest. I tried to push him away, but his grip only tightened around my waist, one hand wandering down my backside. Embarrassed, I fled to a corner, wishing I could hide, disappear in the dark. The last thing I wanted was to make a scene, or cause trouble for Sammy. Colin stood up shakily, his eyes blazing, while Sammy circled him, fists up. Then he took a swing at Sammy and almost fell over. Frank and Bernie yanked on Colin’s arms, marching him toward the stairs. Buzz cowered behind the bar, watching, wide-eyed with fear. A dead man? Now what had I done? 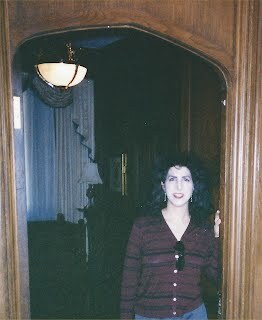 Still shaking, I leaned against the wall, waiting for the commotion to subside, trying to catch my breath. “He was getting fresh, that’s all. But I can defend myself. I didn’t expect Sammy to knock him out like that, in the middle of the bar.” I tried to brush it off, but the truth was, I felt vulnerable, violated. Thanks for hosting FLAPPERS & BATHING BEAUTIES!